Houston, our nation's fourth largest city, is currently experiencing what the National Weather Service has officially deemed "epic and catastrophic flooding" as a result of Hurricane Harvey, with the storm confirmed to have tragically taken six lives thus far. The city is under water and increasing distress, with the situation worsening as rain from the lingering tropical storm is still falling. The storm hit over the weekend, making landfall late Friday (Aug. 25) as a Category 4 hurricane, with 50 inches of rain predicted to fall by the end of this week. At the time of this report, rescuing residents affected by the deadly and destructive flooding is the number one priority, with the mayor of Houston confirming that over 3,000 residents have been rescued thus far. Legendary rapper Bun B echoed the same urgency in a recent interview, insisting that, right now, saving lives needs to be the main focus, with the city needing all the help it can get. During a sit-down with Mass Appeal, the Houston mainstay spoke in-depth about the unfolding tragedy currently plaguing his beloved city, explaining that real action needs to be taken now. "It was a one-in-100-years type of storm, now we're looking at a one-in-800 or a one-in-900-years type of storm," Bun B shared during the conversation. "The probability of knowing and being able to predict the severity of this—not just in the lower lying places, but in the major metropolitan city of over six million people like Houston—it's really hard to say if anyone or anything could've prepared this city for something like this. And again, it's still raining. We're not talking about this in the past. We're talking about this still in the present and future tense, because it's still raining." The decorated emcee, who recently made a guest appearance on REVOLT's Drink Champs, also shared that the conversations surrounding the politics of the situation need to be put on hold until all Houston residents are safe. "It's insane what's happening," he continued. "This is the fourth-largest city in America, you know? And I'm not saying that it's the government's fault or anybody's fault. This is mother nature. And like I said, maybe there are things that people could've done different, maybe it's human error, we'll be able to argue that later. Right now we need boats, and we need prayer." The rapper, who is currently in Dallas after making the decision to evacuate, also spoke about how the biggest problem to come will be rebuilding the city, adding that Houston still has at least three more days "to hunker down" and make sure people are safe. "Right now we need to save lives," Bun stressed. "We can't get caught up in who's to blame or any of that. We'll have plenty of time to do that when this is over. But right now, we need to save lives. That's the goal, that's the game plan right there. Let's save as many lives as we can. Let's get people to safety, because it's still raining. When it stops raining and the sun comes back out, then we have those issues to talk about. What do we do with all these displaced people? How long does it take people to rebuild their homes. Those are the long-term questions that [Trump] will have to answer, and that's when we're going to need our government to step up." 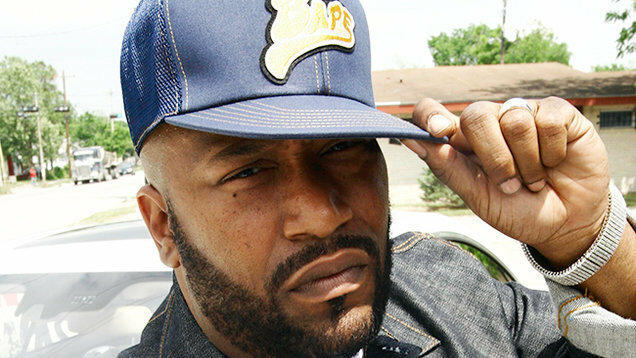 Much like he reflected during his recent sit-down with REVOLT following the canceled white supremacist rally in Texas, Bun B also shared that every other time his city has been in a point of distress, he's been able to "do something, like actual feet on the ground, hands in action." In this instance, however, the rapper doesn't own a boat, so is resorting to other ways to be hands-on in helping his beloved community. As expressed during his latest interview, Bun B is urging those asking how they can help to pool resources and await further instruction. Our thoughts and prayers remain with Houston. For those looking for ways to help those affected by Harvey, please see this list of resources.